Mobic for Dogs (Meloxicam or Metacam): Can I Give My Dog Mobic? Home Dog Health Mobic for Dogs 101 (Meloxicam/Metacam): Can I Give My Dog Mobic? Mobic for Dogs 101 (Meloxicam/Metacam): Can I Give My Dog Mobic? Pet owners wanting to relieve their dogs' pain due to joint inflammation, arthritis or muscle stiffness may want to look into using Mobic for dogs (or Meloxicam/Metacam for dogs). But is that safe? There are a few things you must consider before you give your dog Mobic, Meloxicam or Metacam. If you're wondering, “can I give my dog Mobic,” the answer is NO – Mobic is not meant to be given to dogs because this drug is designed for human consumption only. Instead, there is a generic equivalent of Mobic for dogs which is called Metacam (or Meloxicam). What is Mobic, Metacam and Meloxicam? Mobic for Dogs 101 Can I Give My Dog Mobic? Metacam vs Mobic – What's the difference? Take Home Message Can I Give My Dog Mobic, Metacam or Meloxicam? But how safe giving Metacam, Mobic or Meloxicam for dogs really is? Let's look into this. Pro tip: if short on time, you can only read my “The Key Takeaway” parts for summary. Mobic is the human formula of a non-steroidal anti-inflammatory drug (NSAID). It is used in people to treat pain caused due to inflammation, stiffness, arthritis and muscle injuries. A generic equivalent of Mobic for dogs is called Meloxicam (also known as Metacam). This is the pain relief drug that you should always give your dogs instead of Mobic. Although a separate veterinary formula of Mobic for dogs is widely available, many dog owners prefer giving Mobic to dogs instead of Metacam or Meloxicam because of the fact that Metacam/Meloxicam dog pain relief pills are much more expensive than Mobic. 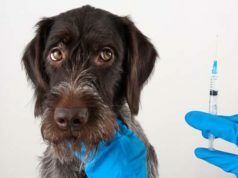 In this article, I will briefly answer the common question, “can I give my dog Mobic,” and what are the dangers of giving Mobic to dogs, why you should only give Meloxicam or Metacam to dogs, and what are the benefits and side effects of these veterinary drugs. Let's first talk about the ingredients in Mobic and its derivative drugs. This will be confusing at first, but just bare with me and you (and your dog) will be better for it. The main active ingredient of Mobic is Meloxicam, which is a derivative of a non-steroidal anti-inflammatory drug called oxicam. Meloxicam has two trade names vis-a-vis Mobic and Metacam, which is why it can sometimes get confusing which drug a veterinarian may be referring to. Mobic for humans is the generic equivalent of Metacam for dogs. Mobic is only meant for human consumption, while Metacam has been designed as a pain relief for dogs and cats. Metacam or Meloxicam are the identical type of pain relief drug for dogs and cats. Mobic is the generic equivalent of these drugs but can only be given to people and never to dogs. Can I Give My Dog Mobic? The answer to this question is a strict NO. Mobic is not meant for dogs and should not be fed to dogs under any circumstance. Instead, if you want to provide pain relief to your dog (whether from joint pain due to arthritis, muscle stiffness, etc.) then you must use Metacam/Meloxicam or any other type of veterinary NSAIDs that are specifically designed to be given to dogs. There are also other ways which can help to suppress pain in dogs without giving drugs. Under no circumstance should you ever give your dog Mobic because it may cause serious health issues. Instead, use veterinary NSAIDs for dogs such as Metacam or others. Mobic for humans comes in a tablet form. Metacam for dogs usually comes in liquid form which makes it easier to feed it to your pets. The smallest human dosage of Mobic is a 7.5 mg tablet. A quarter of this tablet is more than enough for a dog weighing 45 pounds. Giving the whole tablet of Mobic to your dog will be an overdose. However, that still does not mean you can buy Mobic for dogs and give them just a quarter of a tablet. As a precaution, medication in the form of tablets should never be fed to small dogs. Thus, it is advised by veterinarians that you should never feed pills made for humans to dogs except if you have a really large dog, and even then it's best to avoid this. Mobic is a pain reliever which is given to the human patients with arthritis. Like human beings, dogs too suffer from arthritis (canine arthritis). They too get osteoarthritis and rheumatoid arthritis as they get old. This is the main reason why most people feed their dogs Mobic instead of Metacam, thinking that it's the same drug and will act on dogs the exact same way. Generally, arthritis medication lasts a longer duration. Therefore, using the medicine meant for veterinary purposes is recommended if you want to treat the pain caused by arthritis in your dog. You should keep in mind that there is no known 100-percent bulletproof cure for dog arthritis (1). Dog arthritis medicine, otherwise known as NSAIDs and pain relief medicine for dogs, are only meant to suppress the pain caused in dog's joints due to this illness. As dogs grow older, they become more prone to canine arthritis. It is one of the most common health problems in senior dogs. There is no known cure for dogs with arthritis; however, pain relief meds like Metacam for dogs can significantly relieve the joint pain. Metacam for dogs (or Meloxicam for dogs) is generally given orally to pets, and sometimes as an injection in a vet clinic. It is accompanied with a package of this medicine. Initially, Metacam for dogs is given orally as 0.2 mg per kilogram of a dog's weight. Gradually, the dosage is lowered to and maintained at 0.1 mg per kg of dog's BW. Safety of Meloxicam for dogs. In one study (2), it was found that dogs were able to easily intake 0.1 mg per kilogram dosage without any serious side effects for 26 weeks or six months. However, the same study also observed that if the dosage was increased to 0.3 mg per kg or 0.5 mg per kg, then some symptoms of toxic reactions were experienced in dogs. An overdose of Meloxicam or Metacam in dogs can cause very serious health issues and reactions, some of which can be fatal for the dog. Keep dosage of Metacam for dogs to a minimum level in the beginning, and gradually increase and maintain a level for the whole subsequent duration. Like other non-steroidal anti-inflammatory drugs for dogs, Metacam too has some potential side effects, some significant and others not so much. The most troubling proposed side effects from giving Metacam to dogs are usually stomach ulceration, unusual bleeding, and loss of kidney function or kidney failure. However, one study (3) tested dogs did not find any renal problems when giving Metacam to dogs. Further studies (4) confirmed the safety and efficacy of Meloxicam for dogs. Nevertheless, it's important to keep in mind that all NSAIDS for dogs and related drugs which belong to the family of ibuprofen, Aspirin, and Naproxen may have serious side effects that are potentially damaging to dogs' health. Meloxicam poisoning cases have been observed in dogs. These usually lead to vomiting and diarrhea. An overdose of Metacam/Meloxicam for dogs can also cause blood in vomit and stool due to gastrointestinal ulceration in canines. Read this if you suspect your dog is experiencing Meloxicam/Mobic/Metacam poisoning. Although there hasn’t been much research on how an overdose of Mobic for dogs or Metacam for dogs can cause problems, it is not advisable to test and risk a dog's health. Finally, it is not recommended to use Metacam or Mobic for dogs that are or may be suffering from potential kidney function problems as it can cause renal failure. Dogs with liver problems, heart and GI ulcers should never be treated with Metacam, Meloxicam or Mobic due to potential serious side effects. Overdose of Mobic, Metacam or Meloxicam for dogs has a number of severe side effects. Dogs with kidney, heart, liver or digestive tract problems should be never given NSAIDs, including these. Instead of giving Meloxicam or Metacam for dogs (and especially Mobic for dogs), you can try to adjust your arthritic dog's diet to relieve some of the pain; however, while some anecdotal evidence shows that it helps, there is no evidence that it will work for your dog. 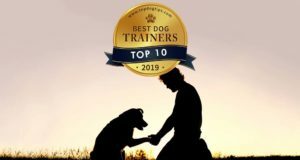 Nevertheless, changing your dog's lifestyle and inculcating healthy habits into your dog’s routine can seriously help in improving his condition. Some foods may help as well. For example, include sweet potatoes in your dog’s diet if he is suffering from arthritis because sweet potatoes are rich in beta-carotene. Beta carotene is helpful in fighting inflammation caused due to arthritis (here's a sweet potato treats recipe). Canine arthritis can also cause chewing problems in dogs. If that's the case, you can serve your pet bowls of nutrient-rich soups or other meals that are easy to consume. Other foods which can effectively help in joint pain for arthritic dogs, such as apples, carrots, celery, beetroot, parsley, pawpaw, bananas, cauliflower, and broccoli. Finally, studies have shown (5) that fish oil for dogs supplements can significantly help canines to deal with osteoarthritis, and they are highly recommended by veterinarians. In addition (or instead) of giving Metacam/Meloxicam or Mobic for dogs, you can adjust their lifestyle and diet. 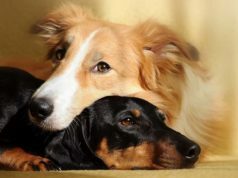 Homemade dog foods and special exercises help in fighting arthritis in dogs. Pain can be further suppressed by adding fish oil supplements. Always consult with a veterinarian before giving any medication to your dog. Do try to avoid giving your dog unhealthy treats, processed foods, drugs, over-vaccinating your dog or any other potentially toxic substances. Canine arthritis is more commonly observed in dogs that are overweight and lethargic (6). Therefore, make your dog habitual to physical workouts and healthy diet in the first place to prevent canine arthritis in the future. Apart from Metacam or Mobic for dogs, there are several other pain relief medications for dogs available if your pet is suffering from arthritis. Can I Give My Dog Mobic, Metacam or Meloxicam? In conclusion, you should never give your dog Mobic, because it's only meant for human consumption. Pain pills manufactured for people may be too strong for pets. They can cause serious health issues in dogs, some of which can be fatal. Instead, you can give your dog Metacam or Meloxicam (same drug) as long as he's not prone to liver, kidney, heart or digestive tract problems. You should always consult with a veterinarian before administering any pain relief medications for dogs or NSAIDs for dogs. Heuser, W. (1980). Canine Rheumatoid Arthritis. The Canadian Veterinary Journal, 21(11), 314–316. Hare, J. E., Niemuller, C. A., Petrick, D. M Target animal safety study of meloxicam administered via transmucosal oral spray (Promist® technology) for 6 months in dogs. J. vet. Pharmacol. Therap. 36, 412–416. Boström IM1, Nyman G, Hoppe A, Lord P. Effects of meloxicam on renal function in dogs with hypotension during anaesthesia. Vet Anaesth Analg. 2006 Jan;33(1):62-9. Ingwersen, W., Fox, R., Cunningham, G., & Winhall, M. (2012). Efficacy and safety of 3 versus 5 days of meloxicam as an analgesic for feline onychectomy and sterilization. The Canadian Veterinary Journal, 53(3), 257–264.